Tanvi Foods is involved in trading, distribution, and processing of Food and Beverages primarily operating in the states of Andhra Pradesh and Telangana. Incorporated in 2007, over the years it has grown organically as well as inorganically and currently operates over four exclusive point of sales; three Cold Room Facilities aggregating to 8278 sq. ft., one food processing and packaging unit spread across 495 sq. yards, around 24 logistics vehicles dedicated towards F&B distribution making it one of few select organized players. Tanvi Foods currently specializes in products such as Fresh Corn, Frozen Corn, and Green Peas in loose as well as packed form. It also prepares and sells corn based eatables such as Corn Samosa’s, Corn Patties and Spring Roll, in loose / semi-finished form to caterers as well as packaged from to Retailers and Wholesalers. All of these packaged products are sold under its brand name “Frozen Kings”. 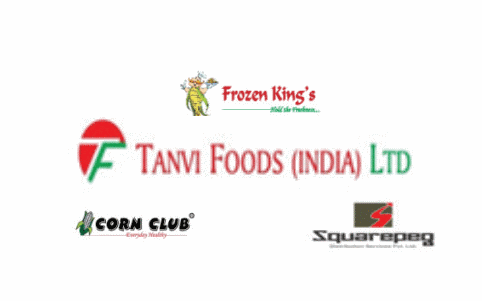 In addition, Tanvi Foods operates a diversified F&B product distribution and trading business wherein it plays the role of an intermediary between other branded product manufacturers/marketers and end point of sales such as Retailers (including Kiranas and Modern Trade Outlets) and Institutional buyers (such as Hotels, Caterers, Multiplexes etc.). It also operates an independent Logistics/Infrastructure services business which in addition to supporting its F&B distribution business also provides Pan India Logistics services to other distributors and players. Its logistics/infra services business vertical includes providing transportation services as well as Cold Storage / Warehousing facilities on per ton and per pallet basis respectively. Tanvi Foods IPO allotment status is available on Bigshare Services Private Limited website. Click on this link to get allotment status.